Davido's girlfriend, Chioma, reacted to reports that she dropped out of school to be with the OBO crooner. 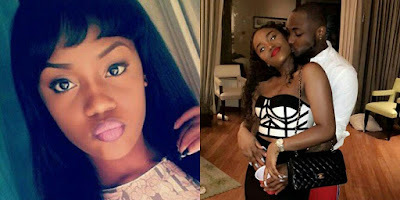 Earlier Wednesday, social media was agog with reports that Chioma dropped out of college at Babcock University. The report said his father is unhappy with his refusal to focus on education and become a graduate before getting married. According to the viral report, Chioma should have graduated since 2016 after being admitted to study economics in 2012. However, she is still in her third year. Responding to the reports, the leader shared a post on his Instagram page. In his message, Chioma warned people to stay closed if they do not know the truth. "If you are not sure of news, shut up," she writes.